In 1945 she moved from Zagreb to Vienna, and her great career lasted until 1983, when she retired. It is interesting that Srebrenka (Sena) had her first public appearance for the Austrian Radio in Vienna already in January 1945, participating in the Croatian opera Nikola Šubić Zrinski by Ivan Zajc (1832-1914; a famous tune `U boj, u boj' is a part of it) under the baton of Lovro von Matačić. Lovro von Matačić was distinguished Croatian conductor, one of the greatest in history. On the 1st May 1945 she had her first appearance in the building in Volksopera in Vienna. 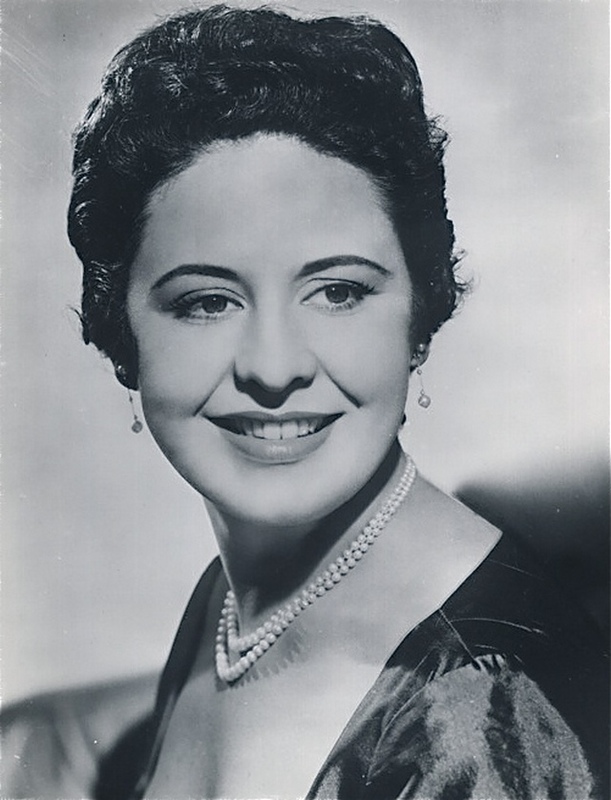 Already in 1948 she was singing in Salzburg under Herbert von Karayan, and the same year registered her opera interpretations for the Columbia company. She sang in the Scala, Covent Garden, on festivals in Glyndebourne and Edinburgh. In the State Opera in Vienna she completed 44 roles in 1268 appearances. Under the baton of Lovro von Matačić she was shining in Dubrovnik and Zagreb in 1970 as Leonora in Fidelio by Ludwig van Beethoven. The same year she visited Zagreb with the ensemble of the State Opera in Vienna in the role of Composer in Ariadna auf Naxos by Richard Strauss. She celebrated her eightieth birthday (2001) also in the Croatian National Theatre in Zagreb. On that occasion she received the Lovro Matačić Prize from the Croatian Society of Music Artists. In 1996 she was decorated with the medal of Danica ilirska with the figure of Marko Marulić. On the occasion of her 90th birthday Croatian National Theatre in Zagreb performed Puccini's opera La Boheme (on the same stage and in the same opera where she had the debut in 1942). Sena Jurinac received the title of Kammersängerin and the Mozart Medal from the State Opera in Vienna. Srebrenka Jurinac singing in Zagreb 1943. Source of the photos www.youtube.com. Srebrenka Jurinac singing in Zagreb 1944. The great Croatian soprano in the first flush of her youth as a singer. Two lieder are featured here in these 1944 recordings made in Zagreb. The title photo shows the young soprano listening attentively to instructions on stagecraft from the legendary Austrian dramatic soprano Anna Bahr-Mildenburg, taken in Salzburg in 1943. Anna Bahr-Mildenburg and Srebrenka Jurinac in Salzburg 1943. The Croation-Austrian soprano Sena Jurinac has died in Germany; she was 90. After study at the Zagreb Academy of Music she made her debut in the city as Mimě and soon moved onto roles such as the Figaro Countess, Freia and created the role of Isabella in Werner Egk's Columbus (1942). In 1944 she joined the Vienna State Opera company and also changed her name from Srebrenka to Sena, apparently at the suggestion of Karl Böhm's secretary. 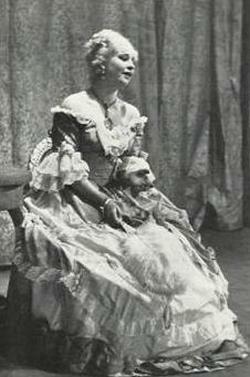 War delayed her State Opera debut and she finally appeared there in 1946 as Cherubino. She was first heard in London in 1946 (as Dorabella) when the Vienna State Opera company toured, and sang at the Salzburg Festival the following year. During the 1950s she was a frequent visitor to England appearing both at Covent Garden and at Glyndebourne (where she sang many of the principal Mozart roles). Her Countess and Ilia were both recorded by EMI; Figaro under Gui and Idomeneo under Fritz Busch. 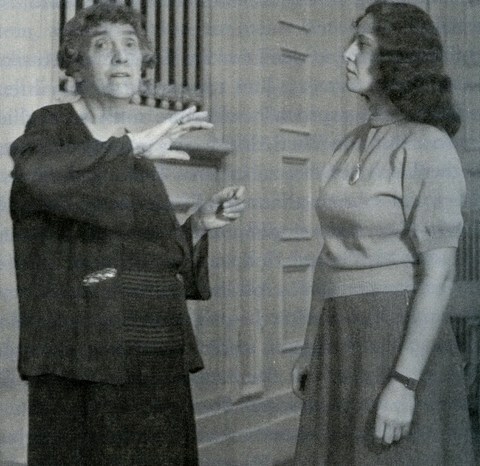 Jurinac's voice hovered between soprano and mezzo, and she sang roles written for both voice-types, so she performed the three roles in Der Rosenkavalier (her portrayal of Octavian is captured on film in the Paul Czinner/Karajan film), as well as the Composer (Ariadne), both Marzelline and Leonore (in Fidelio – a wonderful live recording under Klemperer has been issued on Testament) as well as Marie (Wozzeck), Pamina, Tosca, Marina and Fyodor (Boris Godunov). In a Gramophone interview with Alan Blyth in May 1990, Jurinac spoke with warmth of many of the conductors with whom she worked: Fritz Busch ('He was very tough with me altogether but he was a real Svengali. Had he lived longer, I think I would have had more confidence in myself. '), Karajan, Krips and Klemperer. Sena Jurinac - W.A. Mozart Don Giovanni "Mi tradi quell`alma ingrata"
W.A. 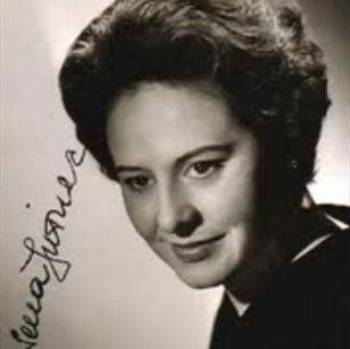 Mozart Don Giovanni "Mi tradi quell`alma ingrata"
Sena Jurinac, who has died aged 90, was one of the best-loved, most accomplished sopranos of her generation and a favourite at Glyndebourne and Covent Garden. After her performance in Der Rosenkavalier at the Royal Opera House, the son of the librettist Hugo von Hofmannsthal sent her a telegram saying that she was the most beautiful, the most deeply felt Marschallin he had ever seen. In Vienna and Salzburg, she was encouraged by the conductor Herbert von Karajan. Jurinac's chief trademarks were a rich, full, vibrant tone and an absolute directness and sincerity of expression. Those qualities, combined with her good looks, made her a favourite in every operatic centre that she graced. Born Srebrenka Jurinac at Travnik, in Bosnia-Herzegovina, to a Croatian doctor father and a Viennese mother, she made her debut at 21 at the Zagreb Opera in a demanding a role for a young singer – Mimi, in La Bohčme. In 1945 she was engaged by the Vienna State Opera, and was soon a treasured member of what was then a unique ensemble. She quickly became a Cherubino (Le Nozze di Figaro), a Marzelline (Fidelio), a Composer (Ariadne auf Naxos) and, above all, an Octavian, the Marschallin's lover, to cherish. She was also admired in such Puccini roles as Manon and Mimi. 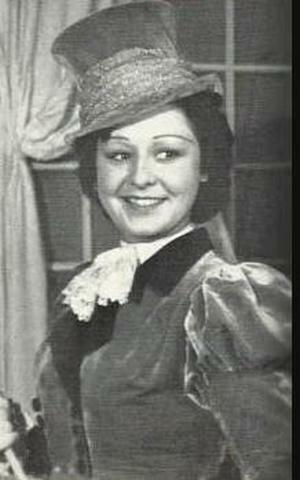 Her London debut was as Cherubino, when the Vienna State Opera came to Covent Garden for its legendary season in 1947. But it was with Glyndebourne, as Ilia (Idomeneo), as Dorabella (her debut part with the company, at the Edinburgh Festival in 1948) and later as an unforgettable Fiordiligi, both in Cosě Fan Tutte, that she won British operagoers' hearts. In Fiordiligi's Per Pietŕ, an expression of love's torment, Jurinac stunned audiences with the immediacy of her response to music and text and her technical prowess. At Glyndebourne she was also wonderful as the impetuous, vulnerable young Composer in the Prologue to Ariadne, a role that might have been written with her gifts in mind. No less eloquent was her Donna Elvira in Don Giovanni, a role she sang both at Glyndebourne and at Covent Garden, and at the reopening of the rebuilt Vienna Opera House in 1955, under Karl Böhm. Later she moved up to Donna Anna in the same opera, and made an equal success of that part. At Glyndebourne, she was a dignified, eloquent Countess Almaviva in Figaro, after she had relinquished Cherubino. When Karajan took over as artistic director at the Vienna State Opera in the late 1950s, he persuaded Jurinac to extend her range to encompass Verdi's Desdemona (Otello) and Elisabetta (Don Carlos), the latter also one of her Salzburg Festival triumphs under Karajan's baton. At Covent Garden she was an intense, generous-hearted Madam Butterfly. In Fidelio she moved from Marzelline to Leonore in the famous production staged and conducted by Otto Klemperer in 1961. 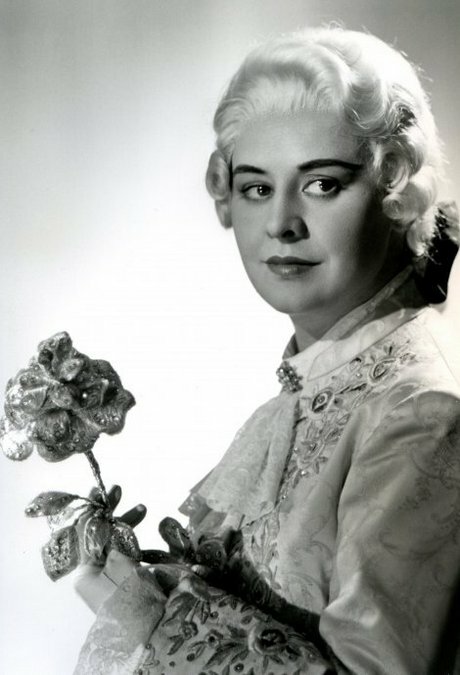 In Paul Czinner's film of Der Rosenkavalier the following year, she sang Octavian to Elisabeth Schwarzkopf's Marschallin, with forces led by Karajan. Back at the Royal Opera House in 1966, she progressed naturally to the older part. All these roles evinced a new-found depth in her interpretative powers and an increase in her vocal strength to match their more mature demands. Jurinac, with her Slav background, was a natural for Smetana's Marenka (The Bartered Bride), Tchaikovsky's Tatyana (Eugene Onegin), Lisa (The Queen of Spades), Mussorgsky's Marina (in Boris Godunov, which she sang at Salzburg with Karajan) and Jánacek's Jenufa. She also triumphed in such varied roles as Monteverdi's L'incoronazione di Poppea, Gluck's Iphigenia in Tauris, Bizet's Micaela (Carmen), Wagner's Elisabeth (Tannhaüser) and Berg's Marie (Wozzeck). To each she brought her special blend of spontaneous appeal and inner radiance. Later in her career in Jenufa, she moved from the title part to the dominating Kostelnicˇka, and even took the Witch in Hänsel und Gretel for a television production of Humperdinck's opera. She was a reluctant recitalist, preferring to project herself through costume and make-up. For all that, she could sing Schubert and Schumann meltingly. Fritz Busch, then Glyndebourne's music director, persuaded her to sing Strauss's Four Last Songs in Copenhagen and Stockholm in 1951, which was recorded. She also recorded some of her major roles. Her Mozart is well represented on disc, and there are recordings of her Leonore, Composer and Leonora in Verdi's La Forza del Destino, her earliest Verdi role, with Glyndebourne at the Edinburgh Festival in 1955, as well as Elisabetta and Tatyana. When Jurinac was on stage, you knew instinctively that your own heart, like hers, was to be involved – not just your intellect. Those who saw her will always treasure the experience. In private life, she was just as outgoing. She spoke English in a delightfully Croatian-accented way and made her effects, as on stage, through her dark, luminous eyes. Such innate warmth of personality is less frequent among her successors. After retiring in 1983, she became a sought-after teacher, always emphasising in her masterclasses the importance of clearly enunciating the text. Her first marriage, to the Italian baritone Sesto Bruscantini, ended in divorce. She then married Josef Lederle. Tim je riječima kroničar "Journala" bečke Državne opere počeo članak u povodu osamdesetog rođendana njezine slavne dugogodišnje primadone Kammersängerin (komorne pjevačice) Sene Jurinac. U istom se broju najavljuje da joj Opera posvećuje predstavu Madame Butterfly, priprema rođendansko slavlje u Theater an der Wien te da će die Sena, kako je poznata u glazbenim krugovima, dijeliti autograme u Centru Herberta von Karajana. U neobično toplu članku kritičar je naziva umjetnicom obdarenom Božjom milošću, koja je dugi niz godina, od prvoga nastupa 1945. do 1982, kada se povukla sa scene, pružala neponovljive umjetničke užitke i kojoj svi, poglavito Bečani, duguju najveću zahvalnost. Rođena u Travniku 24. listopada 1921. od oca ugledna varaždinskog liječnika i majke Bečanke Srebrenka Jurinac je kao desetogodišnja djevojčica došla s majkom u Zagreb i pohađala školu časnih sestara. Zatim je upisala tečaj ritmike i s grupom mladih plesačica otišla na turneju u Nizozemsku. Po povratku je morala napustiti školu, pa se upisala u građansku gimnaziju i na nagovor dirigenta Zagrebačke opere Oskara Jozefovića počela je učiti pjevanje u Milke Kostrenčić. Sjajno je položila prijamni ispit na Muzičkoj akademiji i već je kao studentica treće godine dobila priliku da nakon epizodne uloge djevojke-cvijeta u Parsifalu s golemim uspjehom debitira 16. svibnja 1942. kao Mimi u La Boheme. Ivan Brkanović, tada kritičar lista "Hrvatski narod", proglasio ju je "umjetnicom velikog formata čije glasovne dispozicije dozvoljavaju najveće nade, a njezin pjev odaje potpuno izgrađenu umjetničku ličnost". Dodao je, da je "svaka fraza dokaz izvanredne glazbenosti i inteligencije u shvaćanju i iznašanju". Nakon takvih hvalospjeva mlada je debitantica počela nizati ulogu za ulogom, od naslovne na praizvedbi Sunčanice Borisa Papandopula već 13. lipnja, preko Gotovčeve Morane, Freie u Wagnerovu Rajninu zlatu, Nedde u Pagliaccima, kraljice Isabelle u Kolumbu Wernera Egka, Marženke u Prodanoj nevjesti do Mozartove Grofice i Margarete u Faustu. Godine 1943. Oktavijan Miletić povjerio joj je ulogu grofice Sidonije Erdędy u filmu Lisinski. I u njemu je pokazala veliku glazbenoscensku nadarenost. Rat je bio u punom tijeku, ali, nemirna duha, popustila je nagovoru prijatelja i otišla na audiciju u bečku Državnu operu pred slavnim maestrom Karlom Böhmom. On se uvijek sjećao dojma koji je na njega ostavila. Rekao je: "Kad mi je 1944. među ostalim kandidatima pjevala stanovita Srebrenka (nisam mogao ni izgovoriti ime) Jurinac poslušao sam je sa zanimanjem. Tako krasan glas pravog južnjačkog tembra već dugo nisam čuo. Kao tadašnji direktor Opere čvrsto sam odlučio da takav glasovni dragulj vežem uz kuću kojoj sam na čelu. Što sam onda tek mogao naslutiti ispunilo se na najdivniji mogući način: ona se razvila u umjetnicu sa samo sebi svojstvenom osobnošću, rijetka značenja, što ju je vrlo brzo učinilo miljenicom općinstva. Za nju doista vrijedi ono što je sama bezbroj puta ponavljala u svojoj glasovitoj ulozi Kompozitora u Straussovoj Arijadni na Naxosu i po čemu je živjela, a to je Glazba je sveta umjetnost." Njezina Kompozitora, kojega je upoznala i zagrebačka publika na gostovanju ansambla bečke Državne opere 1970, Oxford Dictionary of Music smatra "antologijskim dostignućem, najboljim poslije slavne Lotte Lehmann", a sama Lotte Lehmann rekla je za hrvatsku umjetnicu: "Topla i poštena ljudskost čini Senu Jurinac tako osobitom. Lijepih glasova i odličnih pjevačica s besprijekornom tehnikom ima dosta. Ali ta unutarnja jednostavnost i to poštenje Sene Jurinac čine mi se u današnje vrijeme sasvim posebnima. Živimo u vremenu dotjerane tehnike. U svakoj struci ta je tehnika postala konačni cilj. Nalazim da je Sena Jurinac iznad toga, iako, usput rečeno, tom tehnikom vlada." U Beču je Srebrenka Jurinac prvi put javno nastupila u koncertnoj izvedbi Nikole Šubića Zrinjskog pod ravnanjem Lovre pl. Matačića za austrijski radio u sječnju 1945, a prvi nastup na sceni imala je u zgradi Volksopere 1. svibnja, kad je sovjetski komandant Beča zapovjedio da se praznik rada proslavi izvedbom Figarova pira. Polugladni umjetnici ostvarili su poslijepodnevnu predstavu pod ravnanjem Josefa Kripsa u lošim uvjetima, ali s istinskim umjetničkim nadahnućem. Sena Jurinac bila je Cherubin. Tri godine poslije već je istu ulogu tumačila na Salzburškim svečanim igrama pod ravnanjem Herberta von Karajana i snimila za gramofonsku tvrtku Columbia. Karijera Sene Jurinac nezaustavljivo je krenula ususret najvećim uspjesima i nepodijeljenim umjetničkim priznanjima. Surađivala je s najslavnijim dirigentima Wilhelmom Furtwänglerom, Ottom Klempererom, Hansom Knappertsbuschom, Erichom Kleiberom, Fritzom Buschom, Ferencom Fricsayem, Dimitrijem Mitropoulosom, Erichom Leinsdorfom, Georgom Soltijem, s redateljima Lucinom Viscontijem i Giorgiom Strehlerom, snimala za vodeće tvrtke, bila sudionicom događaja u opernom svijetu koji se pamte. Pjevala je u Scali, Covent Gardenu, na festivalima u Glyndebourneu i Edinburghu. U svojoj matičnoj kući bečkoj Državnoj operi ostvarila je četrdeset i četiri uloge. Na početku karijere pjevala je u operi i opereti, prve godine imala je čak sto pedeset nastupa. S vremenom je počela izabirati dva autora koja su joj donijela slavu: Mozarta i Richarda Straussa U Figarovu piru bila je dječački svježi Cherubin i melankolična Grofica, u Idomeneu je od nježne Ilije došla do dramatske Elektre, u Don Giovanniju od Donne Elvire do Donne Anne, u Cosi fan tutte Od Dorabelle do Fiordiligi, u Kavaliru s ružom od vatrenog Octavijana do zrele šarmantne Maršalice. Istodobno je njegovala i talijanski repertoar pa su poznate i njezine kreacije Desdemone u Otellu i Elizabete u Don Carlosu, obje pod Karajanovim ravnanjem. Don Carlos na Salzburškim svečanim igrama 1958. u kojem su joj partneri bili Ettore Bastianini, Giulietta Simionato i Cesare Siepi ulazi u posebno cijenjene realizacije te opere. S Karajanom je u Salzburgu ostvarila i Marinu u Borisu Godunovu, Marzellinu u Fideliju i Euridiku s Giuliettom Simionato kao Orfejem. U Beču je pod njegovim ravnanjem pjevala u Monteverdijevoj Krunidbi Popeje, koja je nedavno objavljena i na CD-u. Bečani pamte njezinu neponovljivu Tatjanu u Evgeniju Onjeginu pod Matačićevim ravnanjem, a zagrebačka i dubrovačka publika Leonoru u Beethovenovu Fideliju. Njezina Cio-Cio-San u Madame Butterfly zacijelo nije nikoga ostavila ravnodušnim, kao ni sestra Angelica. Obje je pjevala u hramu talijanske glazbe — Scali. Wagnerovu Evu u Majstorima pjevačima pjevala je na Bayreuthskim svečanim igrama. Janačekova Jenufa, a zatim Crkvenjarka uzorni su pristupi liku koji ostaju u sjećanju. Za velike gramofonske tvrtke snimila je Idomenea (Ilia), Cosi fan tutte (Fiordiligi), Čarobnu frulu (Prva dama), Figarov pir (Cherubin, Grofica), Don Giovannija (Donna Elvira, Donna Anna), Fidelija (Marzellina, Leonora), Kavalira s ružom (Octavian) i Arijadnu na Naxosu (Kompozitor) uz Mozartov Requiem i druga djela koncertne literature te filmove Kavalir s ružom, Sestra Angelica, Othello i Wozzeck. Engleski muzički pisac i kritičar BBC-a Alan Blyth u Orreyevoj The Encyclopedia of Opera opisuje Senu Jurinac kao "jednu od najatraktivnijih soprana poslije Drugoga svjetskoga rata", a u predgovoru njezinoj monografiji Günther Rennert, još jedan veliki redatelj s kojim je surađivala, napisao je: "Postoji mala elita pjevača koji ponajprije imaju jasnu predodžbu uloge, a ne razmišljaju o fahu, položaju glasa, pjevačkoj tehnici i kako li se sve ne zove ono čime su pjevači zaokupljeni. To su umjetnici koje u prvome redu privlači lik i kako ga uobličiti da bi zatim uporabili sva tehnička sredstva kako bi to ostvarili. U tu se malobrojnu elitu bez dvojbe ubraja Sena Jurinac. Ona ne pripada rutinskom opernom pogonu i njezina umjetnost ne podnosi ograničenje faha. Ona se ne troši u tome." U Theater an der Wien prije podne na blagdan Svih svetih Sena Jurinac opet je bila Srebrenka Jurinac. Dupkom punom gledalištu pričala je o djetinjstvu u Travniku i godinama studija i prvih nastupa u Zagrebu. Sjećala se svojih dragih bečkih partnera Josipa Gostiča i Đ urđe Milinković. Među umjetnicima koji su pjevali njoj u čast bio je i današnji miljenik bečke publike Janez Lotrič. Pjevao joj je Sicilianu iz Cavallerije rusticane izmijenivši ime Lola u Sena. Članovi Bečke filharmonije predali su svojemu nezaboravnom Kavaliru s ružom srebrnu ružu u srebrnoj kutiji iskazujući tako još jednom poštovanje najboljemu Ocatavijanu stoljeća. She was born Srebrenka Jurinac in Travnik, Bosnia, that at the time was part of Yugoslavia. Her father was a Croatian army doctor, her mother Viennese. She showed early signs of a musical talent and studied at the Zagreb conservatory with Milka Kostrencic (the teacher of Zinka Milanov), making her debut as Mimi at Zagreb in 1942. In the following two years she sang the Countess, Freia, Isabella in Werner Egk’s premiere Columbus as well as in Yugoslavian operas. In 1944 (she was by then only 23 years old) she was contracted to the Vienna State Opera by Karl Böhm. Because of the War she was not able to sing until 1946 there (her first role was Cherubino). In the first year at the Staatsoper she had to sing more than 150 performances a year (far too much for a young singer). In the autumn of that year she came to London with the Vienna ensemble, singing Dorabella, the part she took with the Glyndebourne Opera at the Edinburgh Festival, where Fritz Busch became her mentor, and where she sang regularly for many years. 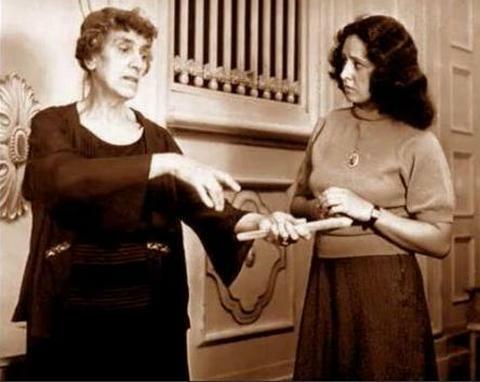 She quickly established as one of the most admired members of the “Wiener Ensemble” (which included Irmgard Seefried, Elisabeth Schwarzkopf, Christa Ludwig, Lisa della Casa, Anton Dermota , Erich Kunz and others). In 1950 she appeared as Fiordiligi at Glyndebourne, to be followed by Donna Anna, Donna Elvira, Ilia, the Countess and Cherubino (one of her greatest creations). At the Salzburg Festival she sang Dorabella, Cherubino and Amor, Eurydike, Marzelline, Elisabetta and Octavian (another highlight role). She performed the Countess in 1962 and the Composer in 1964. Regular appearances included performances at Covent Garden. In 1960 she sang an ardent and impassioned Octavian at the re-opened Festspielhaus at Salzburg opposite Lisa della Casa. Under the guidance of Herbert von Karajan she began to sing heavier roles: Desdemona, Leonora in La Forza del Destino, Elisabetta, Marina, Tosca, Butterfly, Jenufa, Iphigenia and even Leonore. Sena Jurinac bade farewell to the operatic stage as Marschallin at the Vienna State Opera in 1983 but continued to give recitals. She has been a sought-after singing coach for many years in Europe and the United States. She was accompanied by Ernest Lush on the piano. The great German conductor Fritz Busch directed the Orchestra of Glyndebourne Festival in this live performance on 30 June 1951. A picture in this video shows the then 29 year-old Jurinac rehearsing with Fritz Busch, who played a large role in her enormous success at the Glyndebourne Festival. The great Croatian soprano Sena Jurinac (b. 24 October 1921) celebrates her 90th birthday next month. In order to celebrate her outstanding achievements in opera and lieder, seven videos of her live performances/radio broadcasts will be presented. This third instalment features her as Fiordiligi in Mozart's Cosě fan tutte, one of her Mozart roles that endeared her to the audience at the Glyndebourne Festival. She is presented in Fiordiligi's big aria 'E parte...senti!......Per pietŕ, ben mio, perdona' from Act 2 of the opera. The great German conductor Fritz Busch directed the Orchestra of Glyndebourne Festival in this live performance on 5 July 1951. A picture in this video shows the then 29 year-old Jurinac rehearsing with Fritz Busch, who played a large role in her enormous success at the Glyndebourne Festival. The great Croatian soprano Sena Jurinac (b. 24 October 1921) celebrates her 90th birthday next month. In order to celebrate her outstanding achievements in opera and lieder, seven videos of her live performances/radio broadcasts will be presented. This fourth instalment features her in Susanna's aria 'Giunse alfin il momento...Deh vieni' from Act 4 of Mozart's Le Nozze di Figaro, coming from an Italian Radio broadcast in Milan on 4 January 1954. She was accompanied by the Orchestra Sinfonica della RAI di Milano, conducted by Mario Rossi. 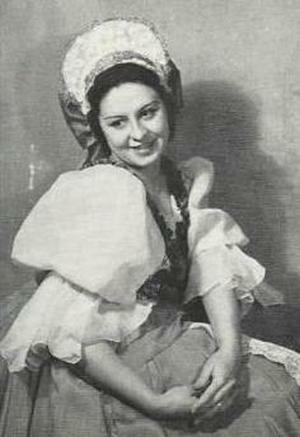 Jurinac sang the role of Susanna very early in her career in Zagreb in 1943 (see pictures in the main part of the video). 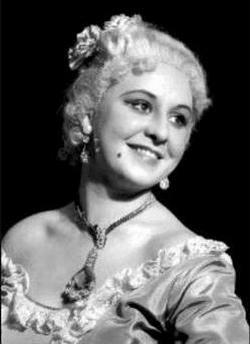 When she embarked on a career in Vienna in 1945 after WWII, Cherubino became one of her major roles and she sang it for many years before graduating to the Countess. This live radio broadcast is a souvenir of her Susanna, which she apparently no longer performed on stage after 1945. Both arias are sung in Italian. Agathe is a role very well suited to Jurinac's voice, yet she seldom performed it on stage, with only a handful of performances in Italy. The photos in the main part of the video show her as Agathe in one of the Italian productions of the opera conducted by Vittorio Gui around 1955. Stage stills from the 1967 La Scala production are featured throghout the main portion of the video. These photos come from the La Scala Historical Digital Archives. The great Croatian soprano Sena Jurinac (b. 24 October 1921) celebrates her 90th birthday next month. In order to celebrate her outstanding achievements in opera and lieder, seven videos of her live performances/radio broadcasts will be presented. This seventh and final instalment features her in Richard Strauss's Der Rosenkavalier, an operatic masterpiece that held an important and even paramount place throghout her entire career. She sang the title role of Octavian (The Knight of the Rose) right from the beginning of her stage career in 1945 until the mid 1960s, and then graduated to the role of Der Feldmarschallin from the mid 1960s onwards up to the very end of her career. It was in the role of the Marschallin that she bade farewell to the operatic stage on 29 November 1982 at the Wiener Staatsoper (Vienna State Opera). This video showcases her 'graduation' from Octavian to the Marschallin over a decade. We begin with Octavian's final duo with Sophie, 'Ist ein Traum, kann nicht wirklich sein' (Act 3), coming from a live performance of the opera on 16 November 1955 during the opening season at the reconstructed and reopened postwar Wiener Staatsoper (Vienna State Opera) conducted by the great German maestro Hans Knappertsbusch. This was one of Jurinac's major appearances as Octavian. Hilde Güden partners her as Sophie. Maria Reining as the Marschallin and Alfred Poell as Herr von Faninal appear briefly in this excerpt. Last but not least, my warm appreciations to George@opertutto for so kindly sharing from his collection rare photos of Jurinac in Marschallin's full regalia, which are featured in the video. Un triste día de y para la música. A la noticia de la muerte, hace horas, de Montserrat Figueras (63), se suma la de Sena Jurinac (90). Con ella se cierra uno de los últimos capítulos de esa breve edad de oro del canto que surgió, mejor dicho, “resurgió”, en la Viena de inmediata posguerra. 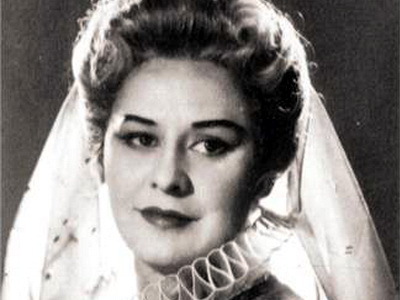 Referente de la interpretación mozartiana y straussiana, la incomparable cantante croata – tan incomparable como sus colegas Elisabeth Schwarzkopf, Irmgard Seefried y Lisa Della Casa – fue una de las glorias de la ópera vienesa y por ende, del Festival de Salzburgo. Su curiosidad e inteligencia dramática la llevaron a abordar un amplísimo repertorio que incluyó personajes tan disímiles como Tatiana, Tosca, Leonora, Ilia, Cio Cio San, Iphigenie, Elisabetta, Lisa, Mimi, Marenka, Eva, Gutrune, Desdemona, Manon, Poppea, Marina, Jenufa – y mucho después Kostelnicka – y Marie en Wozzeck dirigida por Bruno Maderna, afortunadamente preservada en DVD. Pero, fue su vibrante combinación eslava y vienesa sumada a un instrumento tan de oro como de plata (el significado de su nombre) lo que le permitió dejar una imborrable doble impronta en las tres óperas del binomio Mozart-Da Ponte: Fiordiligi (que nunca cantó en Viena) y Dorabella, Donna Elvira y Donna Anna, Cherubino y la Condesa Almaviva – así como en composiciones de Richard Strauss. Del bávaro fue una gran exponente del Compositor de Ariadne auf Naxos y una de las poquísimas en cantar a lo largo de su carrera los tres papeles de El Caballero de la Rosa: Octavian, Sophie y finalmente una paradigmática Mariscala con la que se despidió del escenario vienés en 1982, después de 1268 funciones en 46 papeles, y que cantó en su recordada visita al Teatro Colón de Buenos Aires en 1969. De su inicial Mimí en Zagreb (1942) pasó, gracias a Karl Böhm - quien cambió el “Sebrenka” por el diminutivo “Sena” – a la Volksoper de Viena el 1 de mayo de 1945. Allí, para los soldados rusos en la platea, debutó como Cherubino junto a la Susanna de Seefried dirigida por Josef Krips: “No teníamos qué comer, ni tranvías y un apartamento medio bombardeado en un sexto piso, pero nos sentíamos bendecidos: seguíamos vivos y podíamos cantar”. Ascendida a Kammersängerin en 1951, para el público era simplemente “Die Sena” y como parte del renombrado Wiener Mozart Ensemble en su primer ano cantó la friolera de 150 representaciones cuando la reapertura de la Wiener Staatsoper en 1955. Favorita de Herbert von Karajan (que para no perder su costumbre la animó a papeles más allá de sus posibilidades), Erich Kleiber, Rudolf Kempe, Knappertsbusch, Klemperer y sobre todo Fritz Busch, amplió sus horizontes y fue amada en Gran Bretana: Covent Garden, Edimburgo y especialmente el Festival de Glyndebourne que fue como su otra casa. Siguieron La Scala, Roma, Sydney, Florencia, Estocolmo, Paris, Amsterdam, Munich mientras América permaneció siempre elusiva. En San Francisco fue Madama Butterfly pero nunca cantó en el Metropolitan Opera a raíz del encono de Rudolf Bing porque ella se había negado a estrenar Vanessa de Samuel Barber, originalmente concebida para Maria Callas y estrenada luego por Eleanor Steber. Si su legado discográfico fue más sucinto que el de otras contemporáneas - “El mayor error de mi carrera fue no haberme casado con un productor discográfico”, decía aludiendo a Elisabeth Schwarzkopf y Walter Legge - las grabaciones captan un timbre refulgente, suprema musicalidad e intuitiva elocuencia escénica. Un crítico llamó a su voz andrógina “Romeo y Julieta en una laringe” y Jurinac se ocupó de confirmarlo en el Fidelio de 1961 dirigida por Klemperer (Testament), Las bodas de Figaro con Vittorio Gui (EMI), Der Rosenkavalier con Kleiber padre, Cosí fan tutte -inolvidable en Per pietá ben mio - y en una de las primeras grabaciones de las Cuatro últimas canciones con Fritz Busch. Su magnética presencia puede apreciarse en DVD, en el Wozzeck mencionado (Arthaus), Otello en alemán junto a Wolfgang Windgassen (Arthaus), Ariadne auf Naxos (Komponist, Karl Böhm, 1965), el Octavian del film de Paul Czinner-Karajan junto a Schwarzkopf y como un último “souvenir” en la Bruja de Hansel y Gretel en la versión Solti-Everding (DG). und darum ist sie die heilige unter den Künsten, die heilige Musik!